Meet Bill Huff. His age is unknown but the raspy tone in his voice hints at a person who has seen a lot during his lifetime. It was a random day in 1982 and the African-American man spent almost two hours discussing a time in Carlsbad that now seems like a distant memory. He talked about several things, but mostly he talked about some of Carlsbad's darker times during segregation. However, he never let the negative feelings ruin his time in a city he had come to admire. "It's a nice wonderful town," he says. "Lovely people here and nice folks here. Majority (people) here are good folks and they always been good folks here in this town, regardless of creed or color." 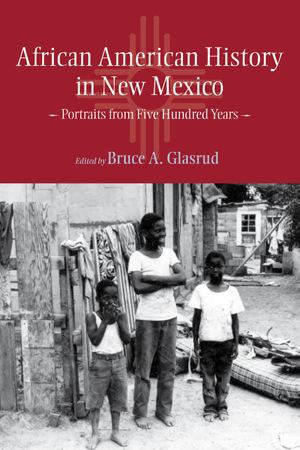 Huff may just live as a memory in some of Carlsbad residents' minds; he is just one of Carlsbad's black residents who were interviewed to be included in New Mexico State University's oral history interview collection. In his interview, Huff said he moved to Carlsbad in 1944 from Colton, Texas, following a brief visit to the city. He did some minor work at a local car garage which is how he earned his living in Texas. Money was ultimately the deciding factor to drag him and his wife across state borders. A figure on a week's check from the Carlsbad garage was the ticket, even though it startled him at first. He said he thought his first weekly paycheck from the garage was a mistake. He was used to receiving $12 for a week's worth of pay at the garage in Texas. So, it should be understandable his shock when he saw a check for $55 at the end of the week. It was news he immediately told his wife. "I said 'Honey, I tell you what. Did you know I made more money in one week then both of us work down there in a month?'" The decision was simple and Huff moved down to Carlsbad. While $55 dollars a week sounds paltry by today's standards, he admitted in the interview it was the most amount of money he ever seen at that point. Work was a value Huff seemed to respect and honor. In the interview, he said his first job involved him washing dishes for a woman when he was younger. His pay: a chance to use her new bike for 40 minutes, which was fine by him. He asked his father if he could get a new bike he wanted, but his father could not afford a bike at the time. So his trade off was work for bike time. And he had no complaints. "That was my pay," he said. "I was satisfied. (I) Had a stomach full food free of charge and riding a bicycle." For Leget Reynolds, aka Deacon Jones, life in Carlsbad began earlier. Born in Charleston, Arkansas, Jones moved to Carlsbad in 1929, before the start of the Great Depression and was later interviewed too in for the library. Jones talks about his time as a guitar player for cowboy dances around town. He loved playing, something he said he still did at a local church during his interview. And like Huff, Jones enjoyed his pay. Jones said him and his partner would split $80, $90, and even $100 per gig they played. "I was scared to say anything about it," he said. "Somebody might rob me." Jones was the youngest of 15, he said during the interview. He moved to Carlsbad for a better place to live. Jones spent time doing farm work, railroad jobs and highway work. "When I first came to Carlsbad, there were just mesquite bushes and cotton patches," he said. "There weren't no country clubs. Just mesquites and sand dunes." But don't add bartending as a job he loved. In the interview, he said it was the worst job he had. He spent time as a bartender at several local bars, but the fights and drunks became too much for Jones he said. In fact, he credits bartending as one of the reasons he quit drinking in 1965. While these two people reminisced on some of their good times in Carlsbad, both Huff and Jones spent most of their first years in Carlsbad witnessing segregation first hand. "When I first came to Carlsbad it was segregated," Jones said. "When I first come here, I couldn't go in the café in front." And segregation extended further than the restaurants. Public schools were also, at one time, segregated. Huff said African-Americans were not allowed to stay at the local hotels and motels on their trips from Hobbs to El Paso. "The black folks that would come through here, they had to go to El Paso to spend a night," Huff said. "They couldn't stop." Huff said a local man at the time felt bad about accommodations for African-American so much he offered Huff the chance to take over a five-room motel. Huff was only required to pay utilities for the facility, which he said featured furnished beds and stoves. Huff was able to manage the small motel for blacks, which was profitable enough for him to build a second one down San Jose Boulevard. Huff also opened up a grocery store, which he claims in the interview was the first African-American operated grocery store. When desegregation became a requirement, Huff said he struggled to stay afloat. Many of the other hotels offered more amenities such as swimming pools and restaurants. His second motel, which still had a loan on it, was sold to another buyer, he said. But it didn't keep him down. "I lost it," he said. "But it was all right because it was good for Negros to have better accommodations. They could stop anywhere they wanted to when the laws had passed." It was a statement that prompted some chuckles from the board of the Carlsbad Municipal School District. According Bernita Smith-Payne, her father, Emmitt Smith (then the principal of Washington Carver, a black school) asked the board to offer funding for the spring commencement for the senior graduating class for the school. There was just one problem: Jimmy Lloyd Thomas was the only student graduating that year. "The board laughed and asked 'don't you have just one student,'" she said. "My father told them he still was on track to graduate and needed to have a service." So the board decided to allow Thomas to spend half a day at Carlsbad High and joined Carlsbad High School, at this time housed at P.R. Leyva, for the year's graduation ceremony, Smith-Payne said. Thomas' inclusion happened a couple of years before the landmark Supreme Court case, Brown v. Board of Education in 1954, and paved the way for desegregation in the Carlsbad public school system. Since his graduation, Carlsbad was able to integrate smoothly, with little opposition. However, other communities did not embrace the change. Smith-Payne said other areas, such as Hobbs, suffered cross-burnings and protests similar to those that some Southern states experienced. Luckily, she said it never happened in this area. "You're always going to see people who don't want to change," she said. "But it never got to the point of violence here." Local historian Jed Howard of the Southeastern New Mexico Historical Society said he came across a newspaper article where the black band playing at the old Crawford Hotel was egged, but it seem like the only documentation of some sort of retaliation over desegregation. Smith, who began working in Carlsbad in 1946, is often credited as a significant historical figure. He became the first black school administrator for the district. "He was one of these people who love the community," Smith-Payne said. "He was involved in a whole bunch of things." But Smith-Payne said desegregation was a joint effort from the entire community. Editor's Note: Do you think collecting, recording, and publicizing oral histories would be a good way for other colleges and universities to help their communities understand and improve race relations? I think it would be interesting to learn about different stories and it would be nice to hear about positive race relations. At Park University, we have our university's black history on a wall, but it does not include any other races. I think it would be interesting to hear about many different races and histories of different universities. There is a culture week that Park holds every semester in Breckon Sports center. They have different countries represented by people that are from the countries they are from. They serve different foods and have a talent show type of thing. I just meant that we have a detailed black history on a wall and yes we do have flags from other countries, but there is no detailed Chinese history at Park when many students from China have attended. It would be more beneficial to have some sort of more detailed descriptions of other countries other than in culture hour. Culture hour has low levels of attendance, especially of caucasians. The majority of students at Park are not interested in the diversity that is present, but they could become interested if more countries' histories were located in more obvious places. I agree with this but park does hold a thing at Breckon Sports center every semester for this type of thing. I personally got an email from a student here asking me to go and learn about his culture and try some food from his country. You know, although racism is certainly a negative thing, I think that it gives those oppressed by it a certain drive that helps them to achieve great things. I like the way you've thought of it in a positive manner. And most certainly people need to learn to channel their emotions and such negativity into positive situations. Although for this case, mostly the negatives tend to outweigh the positive by a large margin so its hard sometimes to fuel the negative energy into a positive thing. Oh that would be just too good to be true. If everyone who once has been oppressed happened to take it that way, as a reason to achieve great things, we wold definately have more figures like Martin Luther King to remember. Although that is not a solution for the problem, it only helps the oppressed to strive for a better life. It definately happen with some people, and in this memories we might see this kind of story. I agree that sometimes the history we are taught is that desegregation was always violent and unpleasant. History is written where is seems that all whites hated African Americans and that all African Americans hated whites for it, but I don't believe that is how it truly was at the time. Sure, there was plenty of violence to go around and those are the stories that make the history books, but it is nice to hear stories that involve success during segregation and a peaceful transition into desegregation. well, I do not think if it is good enough to use the word all, because I am not to sure if all whites hated black and all blacks hated whites. I think what blacks needed during that time was to get their rights the same as whites do, such as the right to get education, to participate in political matters like no vote and to be voted as well as in economic matters and many other more. But the denials of that is where the misunderstanding occurs from one parts to another which caused protests and things like that. It was interesting to read this article about desegregation in Carlsbad, New Mexico. In school, black history is always taught within the framework of the great picture. The information goes from slavery until today covering important dates, turning points, and leading figures like Martin Luther King. What is often missing are the stories behind it, the personal ones. What made the article so interesting were the stories of Huff and Jones included to demonstrate how history was experienced back then. Personally, I often get caught reading or hearing about such life experiences because I haven't been there. But only learning about facts and dates does not get you as involved into a subject. Therefore, it needs more personal stories. Then people start thinking more because something is touched inside of them. And isn't that what we all want to aim by teaching history?! of course yes on my side that collecting , recording and publicizing oral histories would help colleges and universities to help their communities understand and improve race relations, not only in the present society but those records can help even our coming generation that people can be able to know the history of black people. The way they were discriminated but as we move on we see the way they figured out in different aspects as in education level, economic level as well as political level. This article was pretty interesting for me to read and informative as well. I agree with what one of the students posted about in the comments earlier in the page. It had to do with the "view/sound" of racism or desegregation, and how it is viewed as always violent and sometimes even deadly. While it's great to hear a small bit about their history, and see how their life was as they faced racism and desegregation, I hadn't read our been lectured about anything like that. I always wondered if there was actually a peaceful place during the time of segregation, i guess i finally got my answer. This place sounded like a really great place to live, for anyone trying to get away from all the violence of segregation. That was exactly what I was wondering after I join all these discussions. And I guess we finally got our answer. But I hope there were more places like this during that tough time. One day I hope I can hear more stories like that. I have been to Carlsbad and it is a nice city. You could say I travel a lot and I have a good feel for the vibe in a specific area. For example; north of L.A. you have Malibu. While I was in Malibu the people seemed very unfriendly, stuck up and snobby, where as in Carlsbad/ Oceanside the people seem to be more friendly and easy going. Now, I'm not indicating everyone may be that way, but what we can see is that different communities may see things within a different light. At the time minorities within that community may have been more socially acceptable than the national average. Much like how larger cities generally have a higher crime rate than the national average. You make a good point about different communities and their different appearances. Every environment has it's own "light". It is interesting to see how you describe Carlsbad and how it i described in the article. It adds kind of a new understanding to it. It is important to consider, when comparing the 'lessons' learned from history text books to these oral histories, whose voice is being presented. History text books in the US contain the voice of dominant culture - that is, white, heterosexual, able-bodied, wealthy, males. A very important lesson to learn from this article is the profound necessity of listening to other voices, such as the ones recorded in these oral histories. However, let us never become so attached to "positive" stories from the past that we begin to ignore the negative stories of the present. Today, systemic racism is still very much in effect. Let us all listen to the voices of those people who speak up about this reality, lest we look back in 50+ years and see the same pattern repeated. It is good that the voices being heard today, as you stated are not just the dominate group. Each person’s story does add to re-thinking and understanding history here in America. And I am sure there are stories that can be told today in the 21st century that are similar to a hundred years ago, unfortunately. However, the awareness of racism in America is not only creating more discourse about systemic racism as Joe R. Feagin writes about in his book Racist America but the actual proving of social reproductions. The term ‘social reproductions’ Feagin also mentions about reoccurring patterns within American Institutions. With globalization and the media, not so much mainstream, but ‘youtube’ and websites that allow Americans to show their reality of everyday and at times expose racism. This type of communication promotes awareness to make changes to create a truly equal America, being heard from the minorities, too, not just the dominant group. I felt a lot of motivation from this post. We must be fully aware of the past, what brought us here as well as the future, where we will be going. Hearing the voices of these people and their stories will help us to analyze what we have done and how much more there is to do. That is so true that we can't always listen to the positive side of stories. And even though racism is a bad thing, sometimes i feel like the negative sides to racism give the victims the chance to share their stories and make them stronger. I definitely think that oral stories are a great way to hear about history, especially since it is bringing the perspective of an actual 'everyday' participant to the table. I imagine how different the history we have been taught in school would be if we had access to actual individual stories from people of the time period. I do like how Benita Smith-Payne said that desegregation "was a joint-effort from the entire community." Hegemonic beliefs have been spun throughout our history to create socially constructed ideologies and it might have been helpful to have heard from the people at that time, how these pockets of communities approached the dissolution of a debilitating and despicable discriminatory practice. When issues are relateable, they become more approachable and real. 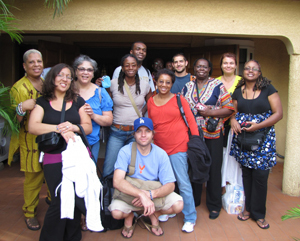 Instead of the ever-changing oppressive stigmas that the African-Americans were labeled with as America transitioned from slavery to free, hearing from the individuals directly involved and stories of hope within communities might have made a big difference. But then again, the plight of the oppressed was never part of the hegemonic story spun by those in power; and much to their delight, suppression of the minority voice was gladly received and accepted. Yes, contemporary witnesses let history to appear much more vivid than history lessons in high school. Much more of personal stories emphasizing process, difficulties, and everyday life should be incorporated into class rooms more often. Not everybody has a grandfather who tells stories about the process of ending segregation or about his experiences in the Second World War. I think oral stories would be a great thing to publicize because it would be a great way for people to understand. We can't change something we are quiet about and ignore. It must be spoken about and seen and testimonial, that way we can see and hear the stories first hand, and become aware of what happened. I agree with you. These kind of stories must be published, because that is an important step to make people realize and get the knowledge about injustice. This would help people in many cases such as, motivate them to make a change and protest, or even to motive them to work harder to improve their lifestyles. This website would be a nice ''channel'' to publish experiences like these ones. I liked this article because it shows real stories of people that had a difficult way to succeed. Everywhere in the world there are biographical stories that shows the hard things that people must pass to get what they wanted. Many times it is very unfair and I do not agree with it. However this difficulty make stronger people that in many cases become very successful. This does not mean that I agree with it, but sometimes the injustice has a bright side. That is the different between people who succeed and people who just comlain about injustices instead to work even harder. It is very important that real stories like these ones become public to help people realize how hard is succeed in many times. I liked the way that Huff and Joness had to face life because they seemed positive people. I believe that positivism is one of the keys to achieve good accomplishment. Once again, I want to clarify that I do not blame people who born under difficulties, but I want to say that overcome from those difficulties is the first step that people must do to change the injustice that exist within world from another place. This was very interesting to me, I would like to learn more about other culture. It reminds me that I we do have a thing here every semester at Breckon Sports center with guest speakers from different countries that talk about where they are from. I got an email last semester asking me to go and try new food and just learn so I think we can accomplish that if we actually took the time to go and listen to what they had to say. It was interesting to read Huff's accounts of the civil rights movement in Carlsbad. It is interesting to hear pieces of history told by regular people. It gives us a glimpse of how Huff may have felt during this difficult time. I agree with many of you. I think if people listened to one another and were able to learn about our similarities and differences we could accomplish a great deal.